I’ve recently been slacking on my fitness game; bad eating, lack of running and general exercise has left me feeling meh. I’ve had a rant with my fitfam via our social media group, sought their advice and have vowed to re-start my fitness journey (no matter how short or intense). It seems that God heard me and wanted to ensure that I made good on the declaration…. 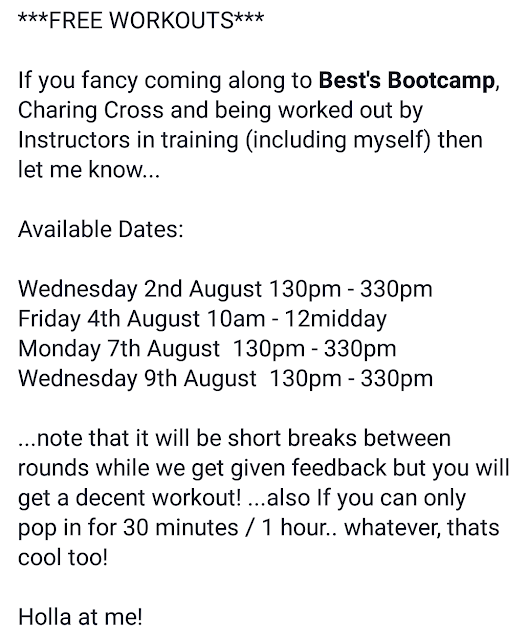 Fellow blogger, fitness professional and fitfam Elle Linton advertised the opportunity to get free workouts with her as she went through training academy at Best’s Bootcamp (a boutique fitness studio currently based in Charing Cross, London); she is looking to become an Instructor at the studio. I knew accepting this opportunity would effectively mean being a guinea pig for her, but I had experienced boutique boot camp before and had previously been trained by her. I knew not only what I would be letting myself in for but also the cost of attending a single class on any given day (£20……imagine the Nandos you could get for that amount!). Also I had the free time! During the training classes, each trainee had to lead 5 – 10 min session that they had prepared. The trainee has to be able to give instructions to participants on the treadmills (Treads) and on the floor (Floor). Each exercise was to last 1 minute, which may not sound like a long time, but when you’re sprinting on a Dreadmill (as I usually refer to it) it can feel like forever! After the academy, the trainees will have a live audition, where they will lead a full 45/60 minute session; participants are to include Master Instructers and established Best’s Bootcamp's Instructors to determine who will become part of their team. I actually managed to attend 3 of the dates that she needed volunteers; though I arrived late every time! I opted for treadmill drills about 60% of the time; I felt that it was an opportunity to push my limits. 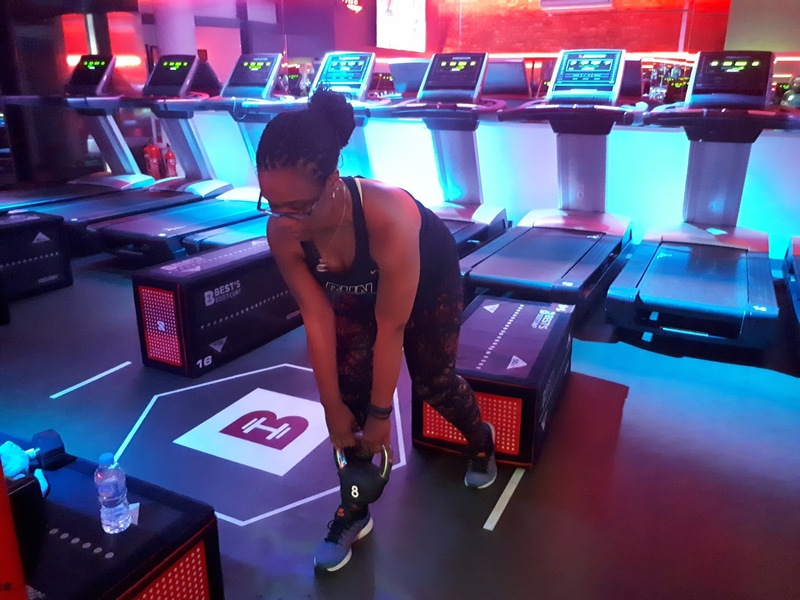 The treadmill drills were a lot harder than the floor drills – for me, running at 12kmph at a 6% incline for even 30 seconds is no joke! Normally when I go on the Dreadmill at the gym, I feel that I am pushing my limits at 9.5kmph/2% incline! It was hard on my legs and lungs and I was just at Beginner Level. However what I did notice in the 3 sessions was that the maximum speed/incline that I had run in the previous session did not seem as onerous in the following session. Now, I’m not saying that I will be able to run comfortably at 12kmph/6% incline for 5 minutes, but the slight increase in tolerance felt like my body was getting slightly stronger or adaptable at least. I was also really impressed (maybe more than I should have been) with the fact that the treadmill had an adjustable inbuilt fan; it made the sprints a bit more bearable! 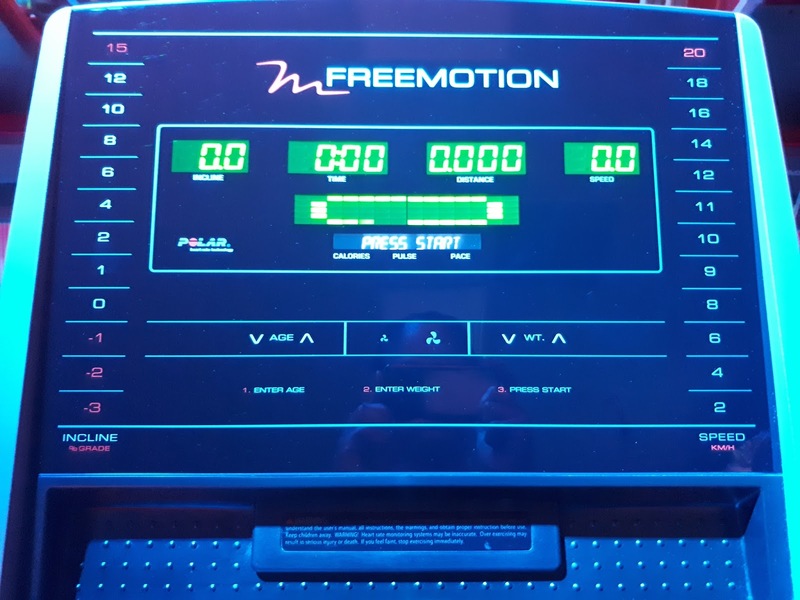 Best's Bootcamp (according to their site) is the only fitness studio in the UK to have the FreeMotion Treadmill; I had found the treadmills to be extremely comfortable and bouncy which was a bonus for recovered right achilles. The workouts are designed to push me to my limits – but not kill me! This is worth remembering when you are expected to do drills with a 12kg kettle-bell! As a beginner or someone returning to fitness, it is worth noting that the speeds can be tweaked by a level; however inclines are non-negotiable. If an instructed tells you to run at 8%, you need to run at 8%! Music can make all the difference to a workout. 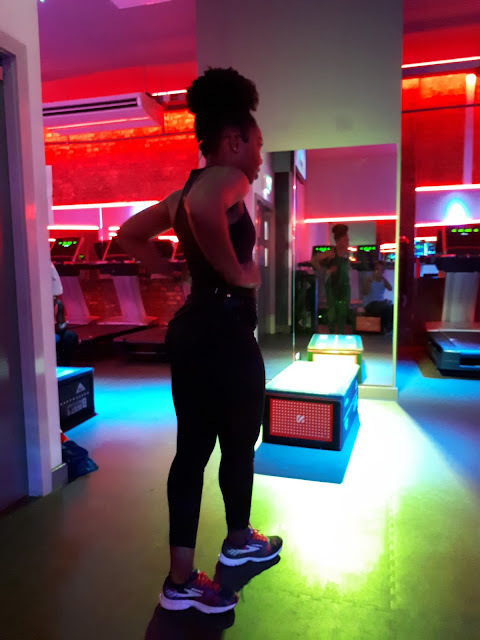 Each trainee/instructor will have their own music preference; however music which allows Treads to run to the beat and the Floor to complete their drills to the same beat is highly beneficial. 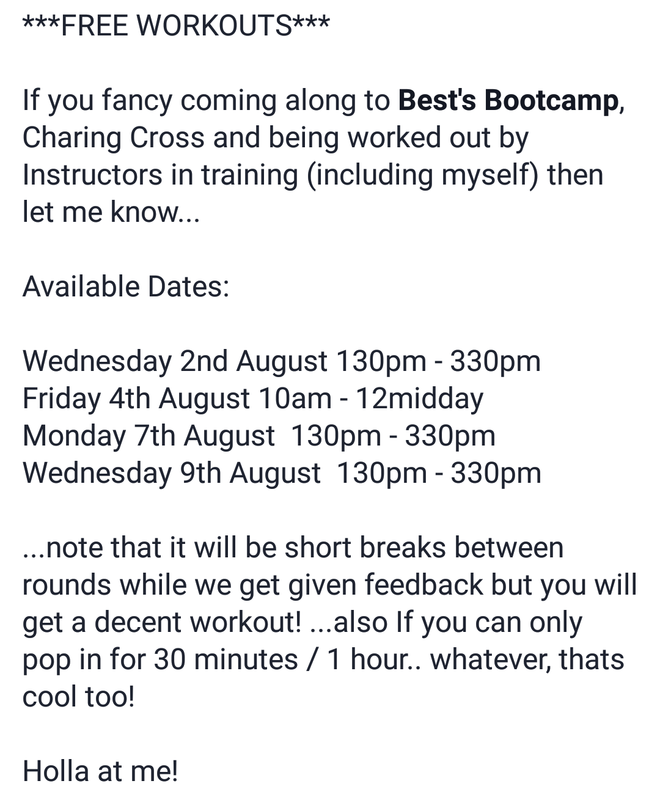 I do hope that Elle becomes an Instructor at Best’s Bootcamp; she has trained me in the past when she was an NTC trainer. She brings good energy, doles out drills that will give you DOMS for a few days and she has an infectious laugh! 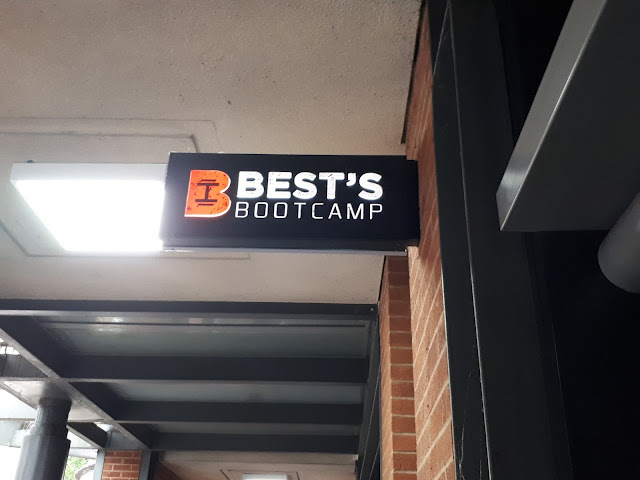 You can read about Elle's experience at the Best's Bootcamp Academy here. 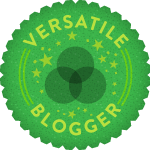 If you would like to #sweatwithelle in the future, check out her blog, Facebook page or her Instagram Profile for further information!